“Revisited” will look back into the Mysticgeek Archives and revisit an article. We can take a look at the original and add more information, look for updates, and see if there might be new and / or better solutions. So, if you have any additional or new information, questions, or comments to add please do! We definitely look forward feedback. 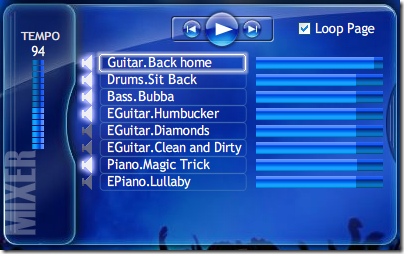 To kick it off I thought I would start with Online Music Factory. I happened to Stumble Upon this cool online music application today. JamStudio.com is a very cool site where you can mix audio loops and not have the need to know how to read or write music. I have already wasted a few hours on this site. If you are a music fan you will have a great time with this. 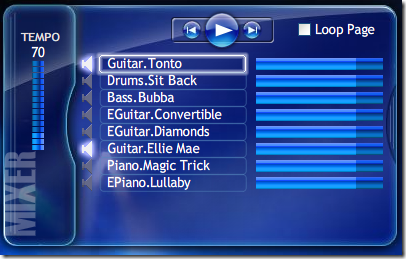 JamStudio allows you to save your music projects and even includes code to place a player on your MySpace page. Choose the Key you want to play the song in. 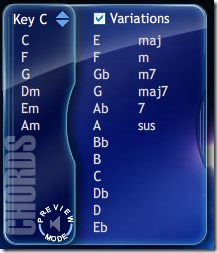 If you don’t know how chords sound don’t worry, you can experiment all you want! 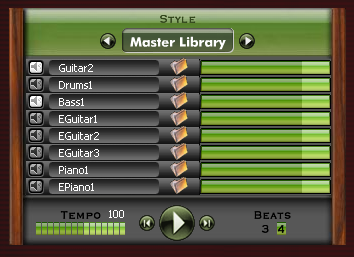 This is the master library with various instruments which include guitar, bass, drums, piano, electric piano, organs, etc. This site has gone through several updates, both cosmetic and functional with the addition of more premium sound libraries and chord variations. 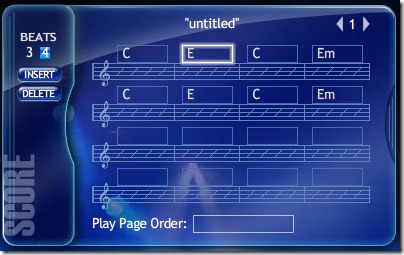 This is the section where you arrange your song or “score”. 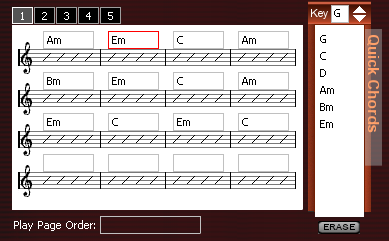 The above is achieved by selecting the chords in a specific key. The mixer section is where you can choose the type of instruments that will play and accompany the tune. Again, you don’t need to be a musical theory genius for arranging any song … just try out different chord progressions and tempo’s and see what happens! I actually put up a short 4 chord progression in the public folder that you can listen to here. If you create an account you can go ahead and manipulate the song with the different loops as well. Once you make new songs you can email them to your friends. If you pay $10/month you get premium sound libraries and the ability to mix down all of your songs to MP3’s. Then you can add your created loops to programs like Acid, Sonar, Cakewalk, Audacity, etc… to create your ultimate songs! Again to check out a quick loop I created click the image above and have fun! A basic membership is free!